Alpha-Lipoic Acid (ALA) is a nutritional coenzyme involved in the energy metabolism of proteins, fats and carbohydrates. 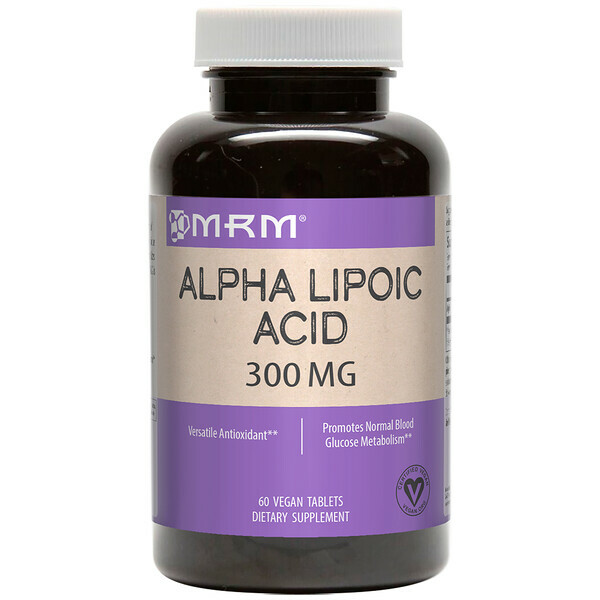 ALA is a unique water- and fat-soluble antioxidant that neutralizes free radicals throughout most of the body. 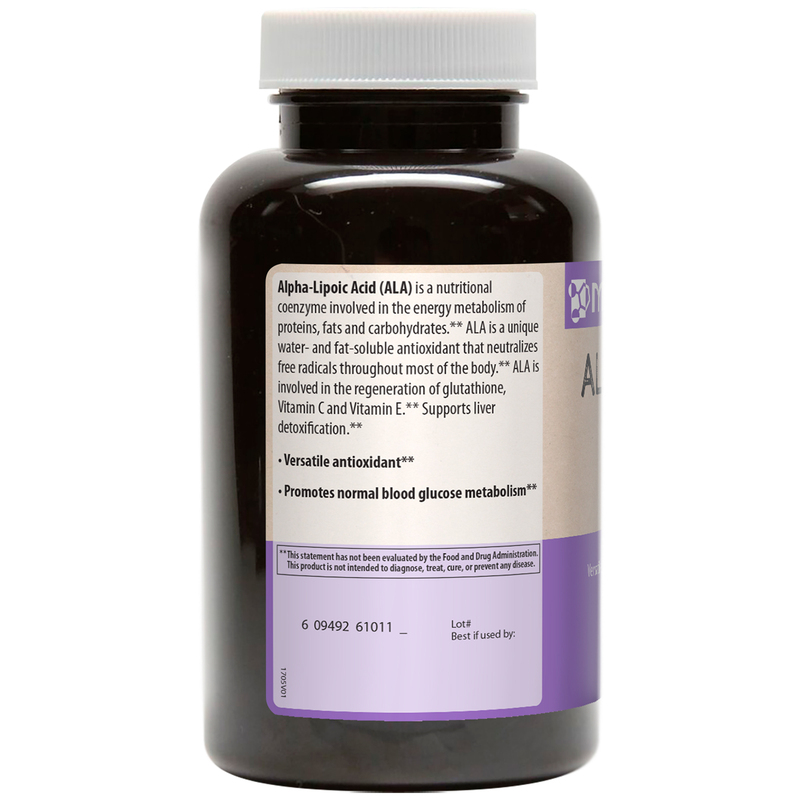 ALA is involved in the regeneration of glutathione, Vitamin C and Vitamin E. Supports liver detoxification. 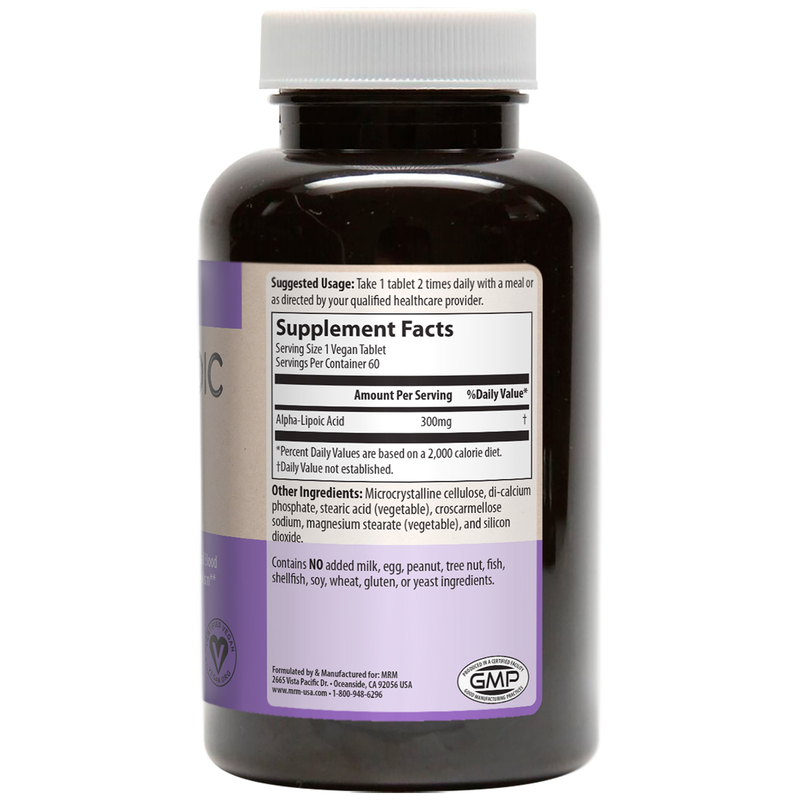 Promotes normal blood glucose metabolism. Take 1 tablet 2 times daily with a meal or as directed by your qualified healthcare provider. Microcrystalline cellulose, di-calcium phosphate, stearic acid (vegetable), croscarmellose sodium, magnesium stearate (vegetable), and silicon dioxide.